Pre-heat your oven to 180c. Sift your salt, soda and plain flour into a bowl. Add the wheat germ and wholemeal flour and combine well. Create a well in the centre of the flour mixture and then add your buttermilk. Mix and then turn the dough onto a lightly floured bench and knead until the mixture is well combined. It will still be slightly sticky. Turn the dough into a ball which should be about 15cm in diameter and place onto a baking tray lined with non-stick baking paper. Using a sharp knife make 2 cuts in the top of the dough. Place the bread into the oven and bake for approx 1 hour, or until golden brown. To know if its ready remove from the oven and tap on the bottom, it should have a hollow sound. Cool on a cooling rack and eat fresh or as toast. 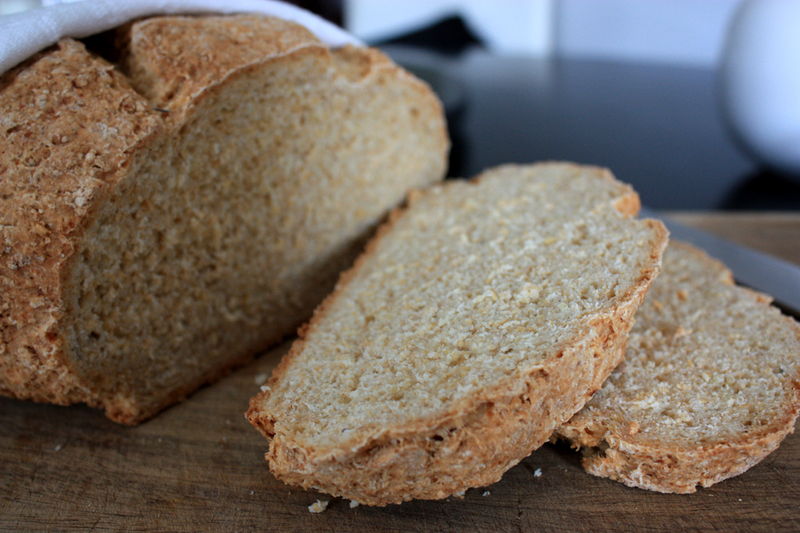 This bread will keep in a cool, dark cupboard in a container or bag for approximately 3 or 4 days.